State Senate Republicans proposed two-year state budget that would add $1.8 billion to K-12 education while cutting some programs. Democrats, including Gov. Jay Inslee, were not impressed. 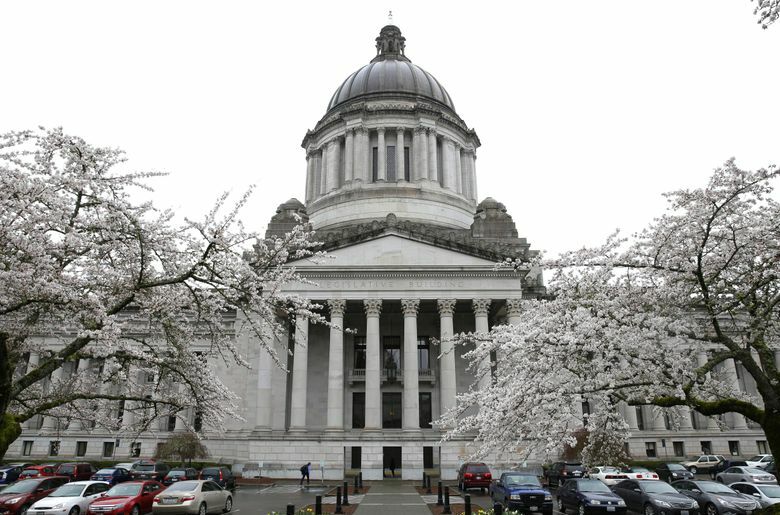 OLYMPIA — Washington Senate Republicans on Tuesday released a proposed two-year state budget that would add $1.8 billion to K-12 education. The $43 billion 2017-19 budget plan is the next step in the long process to satisfy the state Supreme Court’s school-funding order known as the McCleary decision. The additional money for education would come from higher revenue from existing taxes, transfers from other state accounts and cuts to some government programs. The plan largely rejects the proposed 2017-19 state employee contracts bargained or negotiated last year that include raises totaling about $500 million. Instead, the GOP would fund negotiated raises for the Washington State Patrol and some corrections workers while giving most state employees two $500 raises, the first on July 1 and the second on July 1, 2018. That would save hundreds of millions of dollars. The plan also would cut about 400 managers from state government. As part of its school-funding plan, the GOP would establish a statewide property-tax levy that ultimately would replace local school-district levies for basic education costs. That would raise property taxes in some places, like Seattle and Bellevue, while lowering them in others. Sen. John Braun, R-Centralia and chief GOP budget writer, said he believes the budget proposal will satisfy the McCleary order, which says the state has unconstitutionally underfunded K-12 education. “I’m confident that we have done our job here,” Braun said. The budget plan is scheduled to move quickly to the Senate Ways and Means Committee and then to a vote in the Senate chamber as early as Thursday. Democrats Tuesday pushed back on the GOP proposal, saying it funds education through an unfair property-tax plan and cuts money to vital state programs. In a news conference, Gov. Jay Inslee criticized the Republican plan’s reductions for teacher mentoring and early education, as well as the rejection of the state employee contracts, which could affect recruiting to fill key positions at Western State Hospital. “In some sense, it’s hard to take this proposal seriously,” Inslee said. “We need to fully fund education and do so in a way that doesn’t erode or eliminate our ability to do the job that the state of Washington needs to for its citizens,” he said. The Republican budget also includes about $95 million through 2019 to boost the state’s mental-health system. Some of that goes to Western State, Washington’s largest psychiatric hospital that has been beset by staffing and other problems. It’s working through an agreement to keep federal certification and federal funding. The budget also would provide for 48 private contract community psychiatric beds and half a dozen crisis walk-in centers in Washington. The plan would shift to education about $127 million from the Public Works Assistance Account, which provides loans and loan guarantees for local government projects. It also would eliminate the Housing and Essential Needs program, for a savings of about $53 million through 2019. Braun said some people being helped through that program would get services elsewhere. The biggest part of the McCleary order left undone is figuring how the state will fund teacher and school-worker salaries as required by the 2012 court order. Currently, school districts pay a big chunk of the cost through local property-tax levies. The GOP budget tweaks the proposed property-tax swap in the education funding plan that Republicans released in January. The new plan would set a statewide property-tax rate at $1.55 per $1,000 of assessed value to fund basic education, down from the $1.80 per $1,000 in the original plan. Braun said 83 percent of taxpayers would pay lower property taxes under the new plan. In his proposed 2017-19 budget, Inslee included a package of new taxes on carbon and capital gains, as well as an increase in part of the state’s business-and-occupation tax. His $46.7 billion proposal added $2.8 billion to satisfy McCleary, and added $220 million to the state mental-health system. Lawmakers in recent years have put billions of dollars into the K-12 system to address the McCleary decision, but the justices have not been satisfied. The court in 2014 held the state in contempt for not moving fast enough on a full-funding plan, and added a $100,000 daily fine, which remains in place. House Democrats are expected to release their own budget plan next week. Then negotiations will begin in earnest.